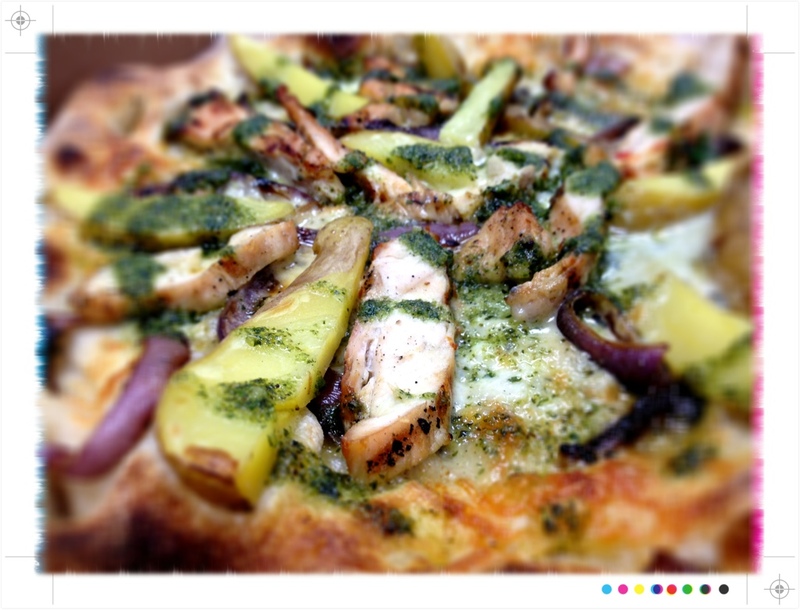 Here’s the beautiful Tuscan pizza – grilled chicken, Yukon Gold potato, mushrooms, red onion, fresh mozarella, and pesto. Look at that nice bubbly crust. The Tuscan was not quite what I would choose, but it was worth trying for a $2 discount. The chicken gets a little dry because it is already grilled. The potato makes it a bit too starchy (Mr. Pizza puts potato on their special pizza, too. Funny.). 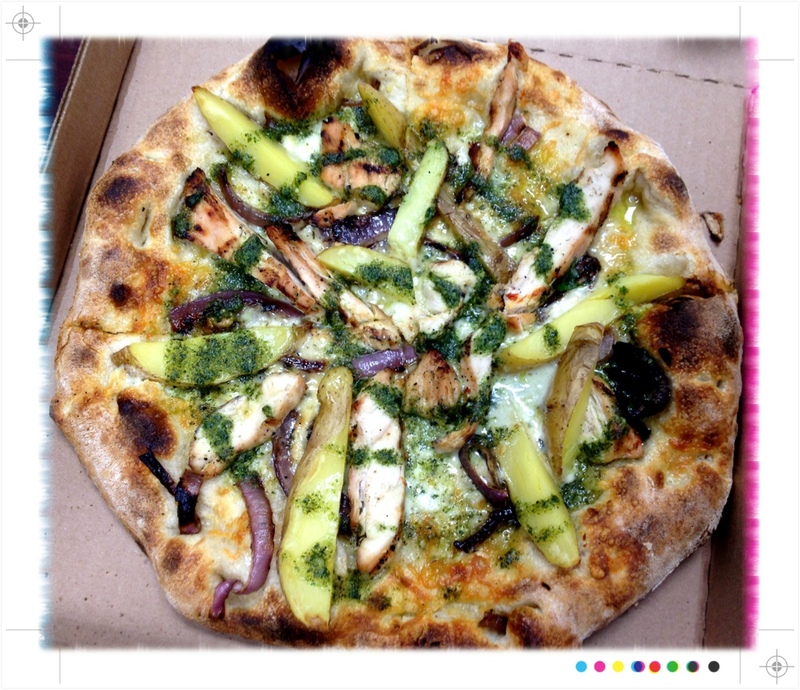 But the restraint shown with the cheese and pesto is well executed. Overall, I really like Pitfire. They are a classic Bay Area eatery that happens to be in LA – fresh, seasonal produce, super vegetarian-friendly, cheap for the Bay Area (about $11). Their pizza is really good in that Neapolitan style that Mozza perfected (this is not that close to being as good as Mozza). 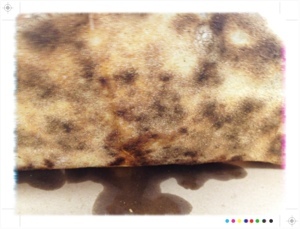 The crust is nicely chewy and decently flavorful, although just a touch dry. The toppings are always excellent, and they offer a great buratta pizza. The real sweetness right now is their seasonal veggie plate, an $11 plate of 5 dishes: roasted Brussels sprouts, kale salad, mushroom farro, a bean side dish, and this really great roasted squash dish that tastes like sweet potatoes. I don’t always love their veggie plate – sometimes it is a little boring. But what they are offering now is interesting, with 5 really different dishes. It’s easy to dismiss a place like Pitfire (I feel the same about Tender Greens) because they are so slick it feels corporate. Eating there feels a little like the polished fakeness of a Cheesecake Factory or even a Chipotle. But that’s probably just because they are really good at streamlining the process and taking out all the bumps from your experience. And the food tastes real, not hidden by sauces and deep frying. 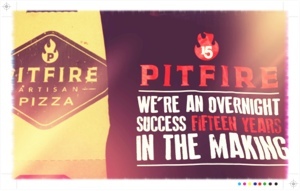 Let’s hope I still feels this way when there are 100 Pitfires all over the country.